This year, the highest academic award in Australia, the ARC Laureate Fellowship, was awarded to Greek-Australian Joy Damousi, history professor and head of the School of Historical and Philosophical Studies at the University of Melbourne. Damousi is the first female academic of the University of Melbourne to receive the prestigious scholarship, the Kathleen Fitzpatrick award. 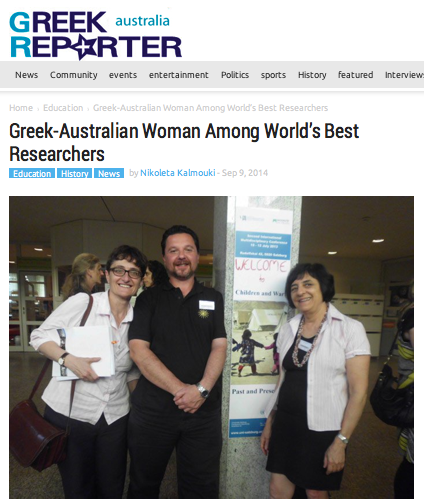 Damousi told Australian newspaper “Neos Kosmos” that in a previous research, she had dealt with the Greeks’ personal experiences, children and adults who lived in Greece during the troubled 40s, the Second World War and the Civil War, and later migrated to Australia, as well as the way they got influenced and formed their identity as citizens of another country.